I thought I would have fun with this prompt and give myself some things to feel good about. 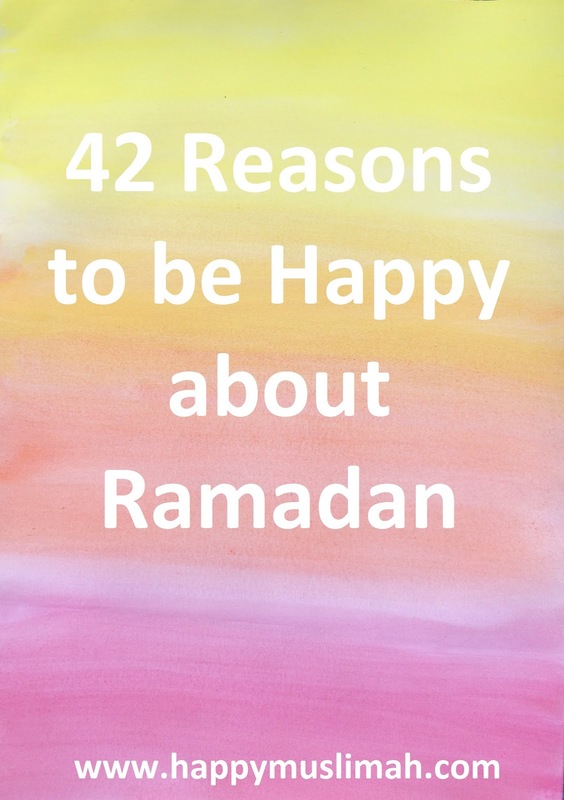 We are also just passing half way through the blessed month and I thought it would be good to remind myself of the great many benefits of this month. 19. For those who undertake Umrah (pilgrimage) during this month the reward is so very great: The Prophet (sallallahu alaihi wasallam) then told her: “When the month or Ramadan arrives, go for ‘umrah, because `umrah in Ramadan is like accompanying me on Hajj.” (Bukhari, 1764). 21. There is increased reward for those who love to share food and feed the fasting: “O People! One who gives Iftaar to a fasting person during this month will be like one who has freed someone and his past sins will be forgiven" (narrated by Ibn Khuzaymah). 22. There are great rewards even for giving a fasting person some water: “And whoever gave a person who fasted water to drink, Allah shall grant that giver to drink from My fountain, such a drink where after that person shall never again feel thirsty until he enters Jannah.” (narrated by Ibn Khuzaymah). 23. Fasting gives us the opportunity to think of the hunger and thirst of the day of Judgement: "...Remember the hunger and thirst of the day of Qiyamah (Judgement) with your hunger and thirst." (narrated by Ibn Khuzaymah). 26. Fasting creates a sense of community and a shared experience amongst Muslims. 27. Whoever shows kindness to his fasting employees is freed from the fire of hell: “Whosoever lessens the burden of his servants (bonds-men) in this month, Allah will forgive him and free him from the fire of Jahannam” (narrated by Ibn Khuzaymah). 34. Ramadan is also the month of charity, the Beloved Prophet (sallallahu alaihi wasallam) used to spend in Ramadan more than any other month. 35. Many people give their zakat, the annual amount of 2.5% of their wealth, during Ramadan. Zakat is an obligation on all Muslims, a means to purify our wealth and a way to help those in need starting with those nearest to us such as poor relatives. 36. Muslims pay Sadaqatul Fitr during Ramadan for each member of their household. This sadaqah or charity helps to take care of the needs of poor households near to Eid. 37. Ramadan is an excellent time to start good habits in our eating, worship and the way we spend our time. 41. At the end of Ramadan the Muslims are rewarded by Allah (SWT): "On the last night of Ramadan they are forgiven”. The Sahaabah (RA) thereupon enquired, “0 Messenger of Allah, is that last night Laylatul Qadr? Rasulullah (sallallahu alaihi wasallam) replied, “No. But it is only right that a servant should be given his reward on having completed his service”. 42. All of those fasting are also rewarded with our feast day of Eid-ul-Fitr at the end.